The primary objective of Polish Chamber of Steelwork activity is promotion, representation, protection of interests and building a positive image of member companies. After a short break an evening gala began in the banquet hall of the Holiday Inn Hotel in Józefów, near Warsaw. During the event the extensions of the certificates of the Producer and Co-Producer of Steel Structures were commenced. There was also “Steel Structure – Implementation of the Year 2017″ award granted. from the left: Paweł Kucharski (MOSTOSTAL WECHTA sp. z o.o. ), Maciej Barycki (MOSTOSTAL PŁOCK S.A.), Tadeusz Rybak (MOSTOSTAL PUŁAWY S.A.), Karol Heidrich (PIKS), Michał Nagadowski (SKANSKA S.A.), Jan Orlicki (ASMET sp. z o.o. sp.k. ), Andrzej Herma ( ŚRUBENA UNIA S.A.). Świdnicka Fabryka Urządzeń Przemysłowych sp. z o.o. 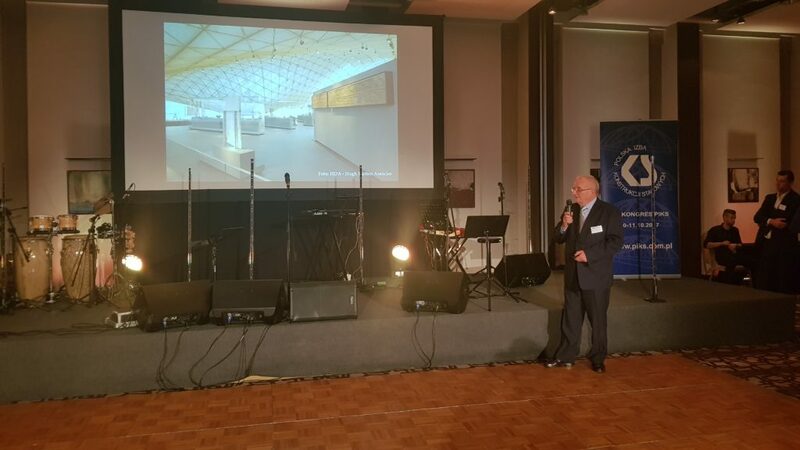 The winner of the competition received the statuette which was recieved by Chairman of the Board of ZEMAN HDF, Mr. Lech Ciszak, who then presented the winning object realized by the company: steel structure of PKP Nowa Łódź Fabryczna railway station. 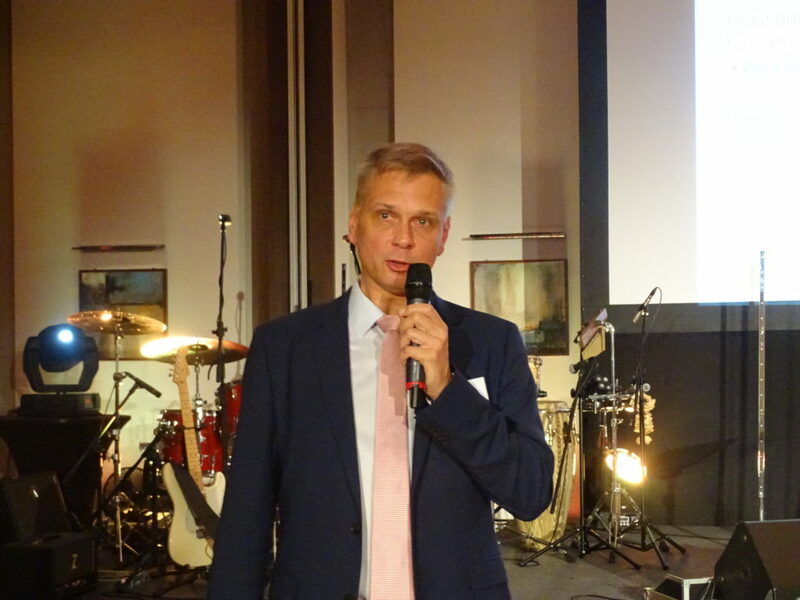 Jacek Zasada – the President of the Polish Galvanizing Society – was invited to take part in the evening entertainment part. A short film showing PTC activity was displayed on the screen, after which President Jacek Zasada presented the scope of activity of the association. 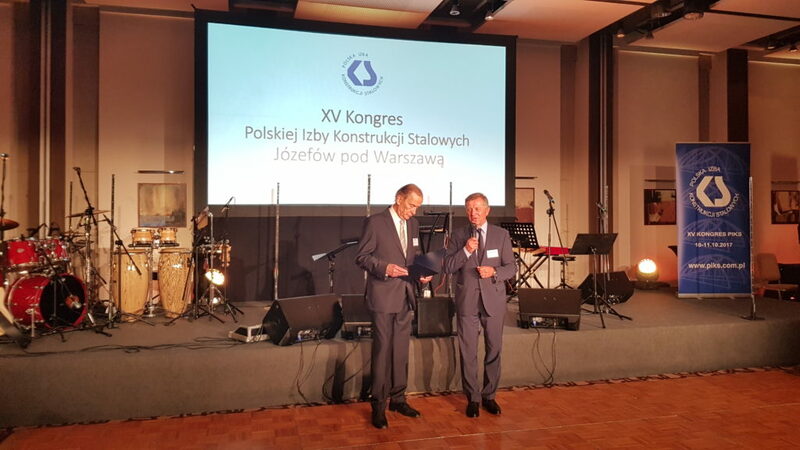 Finishing the speech, President Jacek Zasada invited the participants of the Congress to participate in the performance of Monika Szczot – finalists of The Voice of Poland. After an hour-long concert, the evening went into a banquet, which lasted until late at night. We congratulate all companies that were granted extension of the Certificates of Manufacturer and Co-Producer of Steel Structures. 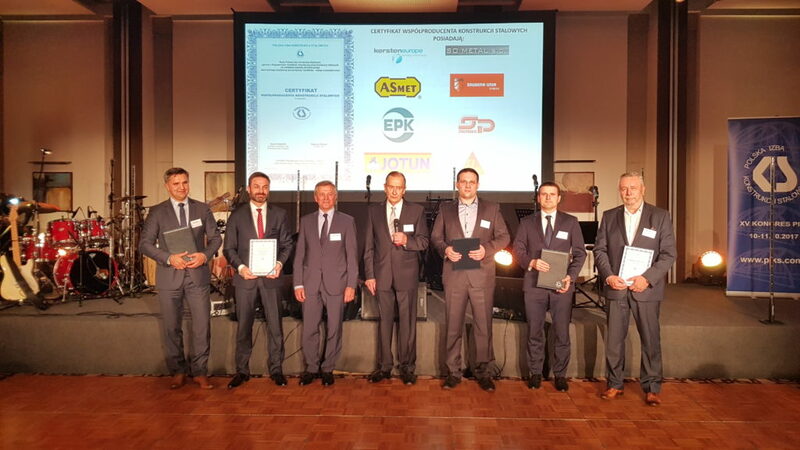 We also congratulate the companies who have been honored for their participation in the “Steel Construction – Implementation of the Year 2017” Competition and the winning company ZEMAN HDF. We want to thank Mr Jacek Zasada for sponsoring the artistic part of the evening gala. We thank All participants of the PIKS Congress for participating in the event! Members of Polish Chamber of Steelwork awarded with The Golden Medal Of The Poznań International Fair.